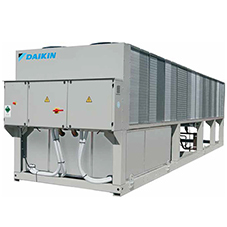 Daikin Applied introduce a new generation of high efficiency air-cooled scroll chiller with R-32 refrigerant. 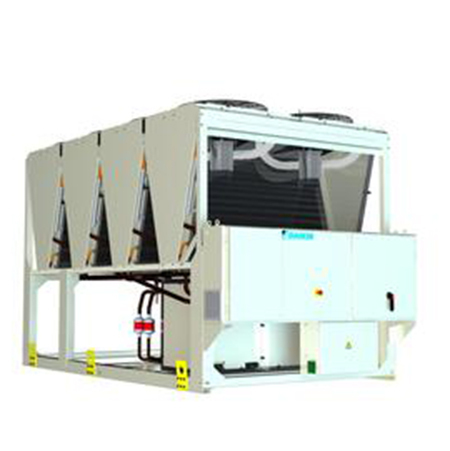 The new Air-cooled chiller range (EWAT~B) will be available for cooling only and heat recovery applications from 80 kW up to 700 kW cooling capacity at nominal conditions. Compared to the previous R-410A range, seasonal energy efficiency ratio (SEER) is improved by 10%. 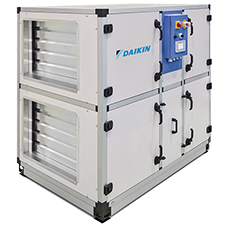 The chiller range fully complies with the efficiency requirements imposed by current European Legislation (Ecodesign Lot21). The selection of R-32 minimises the global warming impact of scroll compressor chillers thanks to the lower Global Warming Potential of 675, in combination with high energy efficiency. 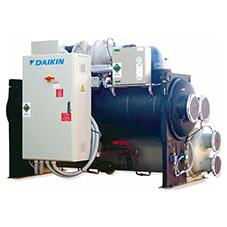 Daikin, involved in both HVAC and refrigerant businesses, was the world’s first company to introduce R-32 in split air conditioners in 2012, and has expanded the range in the past years to include commercial air conditioners and heat pumps. As of December 2017, Daikin had sold approximately 12 million R-32 units in more than 50 Countries. Thanks to the lower flammability classification it can be safely used in many applications including chilled water systems. As a single component refrigerant, R-32 is also easier to recycle and reuse, another environmental plus in its favour. The new Daikin Applied series comes with Master/Slave functionality as standard, allowing the management of up to 4 units on the same system without the need for external control devices. Daikin Applied can also offer the Intelligent Chiller Manager option, allowing energy optimisation of the system and, when necessary, full customisation of the control solutions to the specific installation’s needs.